Black stands to lose a piece, is there a way to rescue the game? (In the actual game from 1906, Black resigned here). From time to time (and with some help from your opponent) you have a game that confirms your Kasparovian genius, and proves that if you just had a little more time to study then you could be a grandmaster too. In this recent game, I was inspired by the famous Morphy opera box consultation game to do the first exchange sacrifice I've ever (intentionally) done, and to do it without bothering to calculate the outcome. 12. RxB! 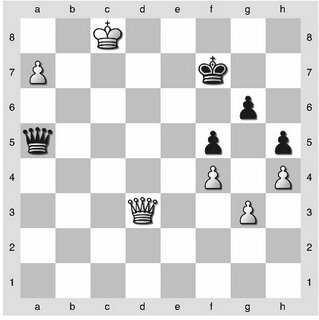 NxR +- (This sort of combination isn't my style, but I didn't hesitate to sacrifice the rook with every one of my pieces bearing down on the Black king) 13. Rd1 Rd8 14. Nd5 (another piece enters battle) Qc8 15. Bxa7! Black is up the exchange but everything else is grim beyond imagining. 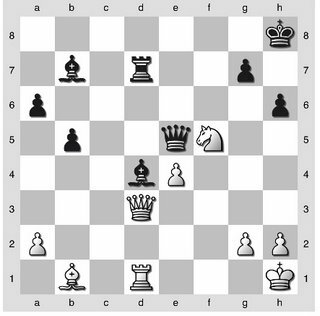 The rook is trapped, the knight pinned and the queen useless. And with the king hemmed in by his pieces, there's even the possibility of a 1-move knight checkmate. 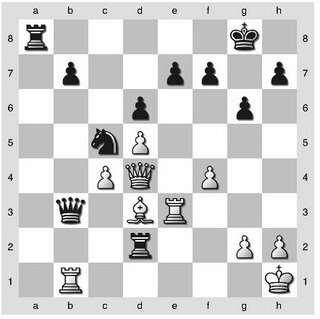 In the following position, after ...Qxa7, can White force a win? Starts Thursday night, G/60 lasting 3 weeks. 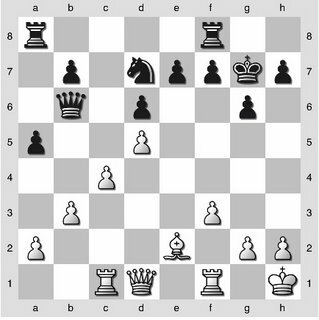 See John Moldovan's excellent Chess Coroner blog for all the info. It's a rated tournament, so that means that four-digit representation of your worth as a person will be at risk. But the journey of a thousand miles (to Grandmaster) must start with the first step. Typical play in this Maroczy against the Accelerated Dragon, nothing new here. the f3 push is by no means unusual and in fact is the most popular move at this point. However, the stage is already set for a strong knight versus weak bishop scenario as occurs in the game. A reasonable alternative is 12. Qd3. 13. BxB (b4!? is stronger, also possible is Be3 to maintain pieces) KxB 14. Kh1 ?! Here I was searching for a plan, and I couldn't see a reason for the 'patzer check' Qd4+. But this keeps the black queen off b6 and centralizes my queen, this was the first bad decision. 14...Qb6! (of course!) 15. b3? 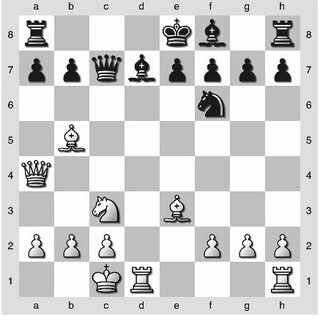 (another mistake - why weaken the pawn chain and create a target? 15. Qd2 or 15. 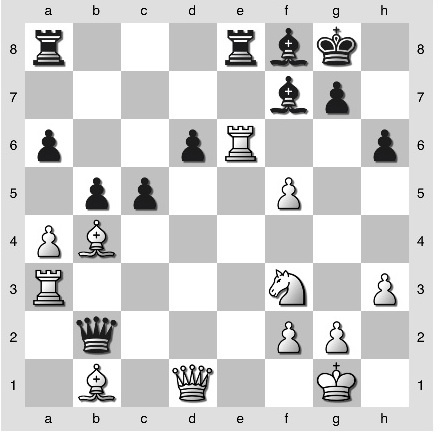 Rc2, preparing action on Black's weakened e-file or kingside are preferable. Events now start to swing in Black's favor). 15...a5!? 16. Nd5 BxN 17. exN!? The right decision, there are still chances on the kingside, but White has to move quickly. Finally on move 22 there is a sign of aggression. But is it too late? The least motion principle is the Occam's razor of chemistry - basically, the less that atoms have to move in space for a chemical reaction to occur, the more likely that reaction is to happen. I found myself wondering if the same idea can apply to positional play in chess...the less you have to move your pieces for a given task, the more likely you are to succeed. 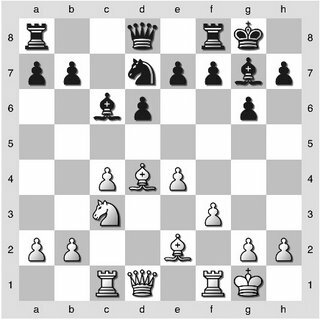 Economy of movement is key to attacking chess, but also to positional maneuvering. Sometimes the weakest response to a threat against a piece or pawn is to move it away from the threat, rather than supporting the piece or even ignoring the threat with a counter threat! A simple example can be seen below, in 'Parsippany Fight Club Part 2' where ...Nf5! ignores the threat of losing the exchange while threatening mate and the win of a rook. 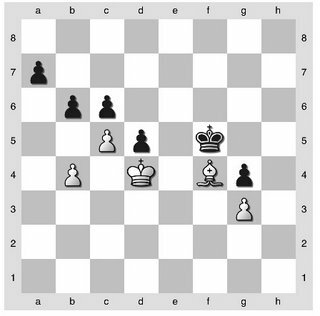 Or there is the otherworldly example (position above) from game 4 of the Kasparov-Karpov 1990 world championship match, where the Greatest of All Time leaves his rook on e6 hanging for the next eight moves! On the other hand there are times when needlessly weakening moves are made in response to perceived threats, and it was a series of those I played in an insipid game where I lost on the white side of the Maroczy Bind. We'll look at this game later this week.